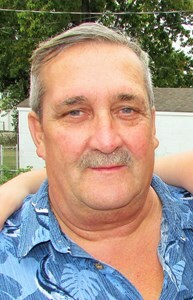 Newcomer Family Obituaries - Carl E. Leffler 1959 - 2019 - Newcomer Cremations, Funerals & Receptions. In loving memory of Carl E. Leffler, 60, passed away on February 8, 2019. He was born on January 24, 1959. He was preceded in death by his parents, James and Betty Jo Leffler. He is survived by his wife, Marianne, children, Carl Randall (Holly Dalton) Leffler, Robert Vines, Jamie (Richelle) Leffler, William Vines, Danieal Grover, Gregory Leffler, Shaun Leffler, Grant Vincent, Brittany (Frank) Deoring, Kasandra Howard, grandchildren, Brandon Cunningham, Bryan Cunningham, Debra Leffler, Kendra Leffler, Roger Leffler, Arianna Leffler, Shaun Alan Leffler, Saphira Henderson-Leffler, Brock Vincent, Jayda Hook, Halle Deoring, Morgan Deoring, great-grandchildren, Evelyn Cunningham, Brooklyn Cunningham, brothers, James (Lita) Leffler, Joseph Leffler, Billy McCoy, Donald McCoy, Greg McCoy, sisters, Brenda Dials, Diane Dunlap, Treasa Tille, many nieces and nephews. Visitation will be held from 2-4pm, Friday, February 15, 2019 at Newcomer, SW Chapel, 3393 Broadway, Grove City, OH, where a funeral service will begin at 4pm. A meal will follow at Central Avenue Church of Christ, 192, South Central Avenue, Columbus, OH 43223. Add your memories to the guest book of Carl Leffler. To Marianne and family, My husband and I want to extend our deepest condolences to you and your family. We were unable to support you today at the services, but know that we have you continually in prayer. May you feel God’s love during this difficult time. Memories, how many memories I have of Carl. He came into my life when I was 7 years old after one of my hardest times growing up. I can remember going up to his job so my mom could go see him or take him lunch when they first started dating. He would always have bottled pop and would always give me one. He always said he wanted daughters because he had boys, well he got 2 when him and my mom got together. I can remember the flower skunk from the movie Bambi he gave me when I was little. He was a good guy. He wasn't my dad and never tried to be he knew I already had one. But he was a bonus dad and grandfather to my girls. He walked me down the isle on my wedding day. I will always remember him and all the good times, vacations, going fishing, just going to my moms and his goofy self being there. I know you are at peace now Carl, please watch over my Mom and everyone! We will really miss Carl. He was a terrific friend. We will always be thankful for the memories that we shared with him and his family. He was always there when you needed him. No matter what it was, like when you needed help on fixing a problem with your car, or picking you up from work when you did not have a ride, and giving you moral support when you were going through things in your life that was just needing a friend to let you express your thoughts and tears without judgement and letting you just talk. We will never forget you Carl. Love and Prayers to the family, that the Lord will comfort you in the days ahead and give you the peace that you will always feel Carl around you and cherish the memories that you will always remember him and the love he had for his family and friends.